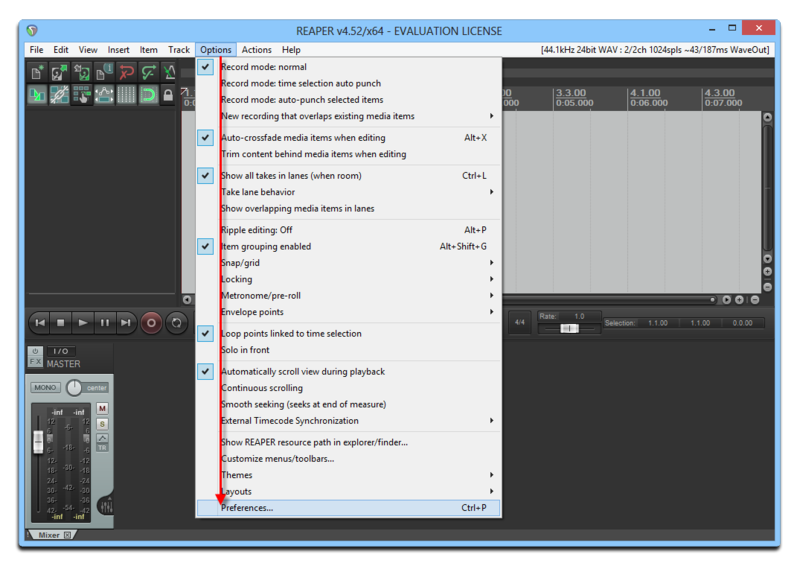 This tutorial will guide you the way to change your voice in Reaper with Voice Changer Software 8.0 Diamond. - Choose Options menu >> Select Preferences. + Select Audio >> Device (1). 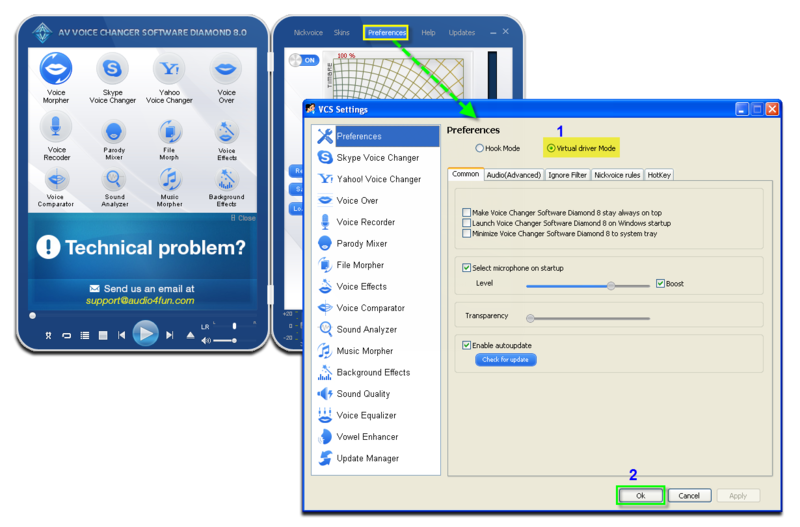 + Choose Microphone (Avnex Virtual Audio Device) (2) as Input Device. 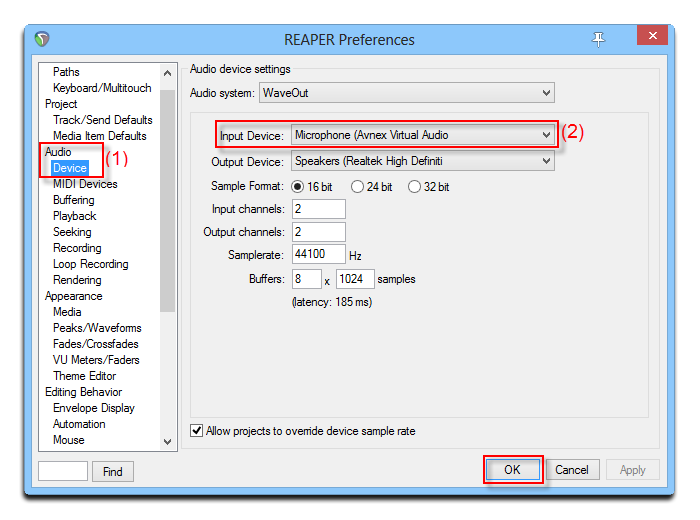 - Click OK to apply new settings and close Reaper Preferences dialog box. - Choose Insert menu >> Track. 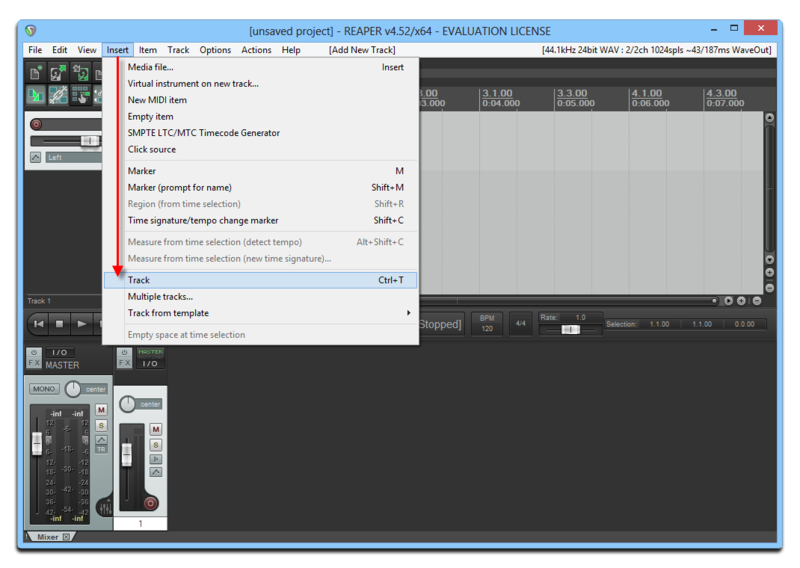 - Click Record (3) button to start the recording.